The Muscovite crowd-pleaser is making his return to Corus A after a 3-year hiatus – he finished next to last in 2005, with only 4.5/13. This time around he is back eyeing the other side of the cross table, with a new world ranking high, and close to his all time rating high. Alexander is a two-time Russian champion and a candidate for the world championships, who appeared on the chess scene radar in 1994, with his resounding 9.5/10 score in Lloyds Bank in London. In 2008 he had a few mediocre results finishing equal fourth in the Russian championship, where he was the defending champion, and scoring 6/10 playing 3-4 board for Russia at the Olympiad. He won Bosnia with an impressive 7.5/9, a full point and a half ahead of second place, and tied for second at the Tal memorial (5/9) which he might have won if not for a slow finish. Moro earns his popularity with his original, combative style, and by introducing openings or variations that are off the beaten track. Alexander is one of the heavy favorites, and is ‘marked’ by many as the one to watch in January. The Norwegian Magnus express is simply not stopping. The Corus A 2008 co-champion is returning to defend his title, with a hefty new personal best rating, and a near-pinnacle position on the world-ranking list (including a brief stint as the world’s number 1 at one ‘real time’ moment). If last year we said he was en route to the top 10, having broken the 2700 milestone, this time around he is only thinking of the top spot, and a hairs distance away from crossing the magical number of 2800. In addition to his great success in Corus, Carlsen had other very notable achievements: Second place at the super strong Linares, with an 8/14 result – second only to Vishy Anand a half a point above him, a tie for first at the Baku FIDE Grand Prix tournament with plus 3, and his best result: first place at the Aerosvit super GM event, with a stunning 8/11 score. He tied for second at the Bilbao Masters Grand Slam final, and only his Olympiad and Biel performances (two very reasonable results anyways), were below 2800 TPR! One needs not ask or guess that top honors in January 2009’s Corus A edition is the only thing Magnus must be aiming for. It’s doubtful that you’d find many (or any!) who would bet against that. Twenty years ago a virtually unknown 19-year-old Ukrainian came, saw and conquered the super strong New York open, ahead of many established Grandmasters, and announced his arrival on the chess scene. By now a regular at the very elite, Vassily is one of the most active players on the circuit. After an amazing year in 2007, this year has been quite a roller coaster one for Chuky: After peaking at 2787 he dropped nearly 50 ELO points, only to regain all of them but one! In last year’s Corus A he tied for 5th place with 7/13, and later scored fantastically at both the Tal Memorial – first place with 6/9, a full point ahead of his nearest rivals, and his best success: clear first in M-Tel, with 8/10 – a stunning 1.5 points ahead of second place. He further sweetened the experience at the same venue, by winning the ultra-strong blitz tournament, held after the main event. Ivanchuk also had two strong second place finishes in the Aerosvit tournament (7/11), and the Bilbao Masters Grand Slam finals (Shared, with 5/10). It’s been 13 years since the Ukrainian had won in Corus, can this be the year? It won’t take a mind reader to tell that consciously or not, the pleasant Armenian is coming to Wijk aan Zee with a determined intention of a ‘threepeat’. Having co-won in both the 2007 and 2008 editions of Corus A, Aronian is in good form to try for his hat trick. The former world under 12 and world junior champion is ‘Golden fresh’ after leading his national team to first place at the Dresden Olympiad – the second such gold in a row! After winning in Corus, Levon tied for third in Linares (7.5/14), and went on to dominate Melody Amber, winning the rapid event, tying for first in the blindfold tournament, and winning the joint event by a cool 2.5 points. He convincingly won clear first at the FIDE Grand Prix in Sochi with 8.5/13, and finished equal second at the Bilbao Masters Grand Slam tournament. Aronian also proved his ability in rapid chess, winning the sentimental Karen Asrian memorial tournament in his hometown of Yerevan with 8.5/14. The Corus A group has been very good to Azerbaijan’s top player: he won it in 2007, and tied for 2nd in the 2008 edition. Radjabov is at his highest ELO point peak, with more point scheduled to come when the latest events are calculated. One of the youngest to ever receive the GM title (at 14, in 2001), Teymour is a former world under 10 champion, and a bronze medallist from the 2004 cycle of the world championship. The always-confident Azeri GM has a dynamic and aggressive style and choice of black openings, which brought him a series of wins with that color versus some of the world’s current and former number ones. Teymour’s best successes after Corus in 2008 were his win at the Odessa world rapid tournament, and his strong unshared second place in the Sochi FIDE Grand Prix. He tied for third in M-Tel with 5.5/10, finished with 50% in Linares, but had a very lukewarm second FIDE Grand Prix result (6/13) on home soil in Baku. Anonymous no more, China’s leading Grandmaster is making giant steps towards conquering a long term claim to a spot on the world’s elite list. His rise to number 11 in the world (the highest of any Chinese player ever) has been meteoric: since 2004 when he was right near 2500, his ELO has risen nearly 250 points. Currently a student at the Nankai University in Tianjin, Yue started playing chess at the age of 6, and before he was 12 was already a world youth champion for his age group. He got his GM title in 2004 at age 17, and quickly amassed a list of wins and high finishes at many open and closed events around the world. He won the championship of his country in 2004, and not long after that the world junior championship. Wang made it to the fourth round of the world cup in Khanty Mansisk in 2007, and claimed his biggest success yet when he co-won the Baku FIDE Grand Prix (8/11) earlier this year. He followed that with a respectable tie for 3rd at the second Grand Prix in Sochi with 7.5/13. Another recent fantastic achievement was his runaway victory at the NH Hotels event in Amsterdam, where he got 8.5/10. Wang held an amazing record of 85 games without a loss in 2008, a record that was broken with his first round loss to Jakovenko at the recently started Grand Prix event in Elista. Mickey is one of the ‘regulars’ in Wijk aan Zee, making his tenth or so visit to play in the GM A group. He is a former champion of his country, and a multiple time candidate for the world championships – having made it thrice to the semi finals, and once to the very end, losing to Kasimdzanov in 2004. England’s leading player for many years, the British GM is a true gentleman and an exemplary professional, known for his calm demeanor. After finishing with 50% in Corus 2008, Adams’ most notable successes have been his wins at the Staunton Memorial (second win in a row) with a strong 8/11, and in the Magistral Ruy Lopez with 5.5/7. At the European Championships in Liverpool, Mickey scored 7.5/10, enough for a tie for second place. He played in the FIDE Grand Prix event in Baku, scoring a solid 6.5/13 result. Adams have never won Corus, but finished in a tie for third place several times, and as high as a tie for second once. Can he do this this year? With his victory in the star-studded Corus B group last year (an awesome 9.5/13 tally), the sympathetic Slovak has earned himself a spot in this year’s premier group. Sergei can be called ‘universal’: born in Tiblisi, Georgia, moved to his family’s fatherland of Armenia till his teens, living in the Czech Republic, and playing for Sloviakia! After many years of having his rating in the mid to high 2600’s, he continued his rating rise from last year, and finally crossed the ever-elusive coveted 2700 mark with a nice cushion. He is expected to increase that, after his fine 5.5/7 score at the European club cup, where he beat Svidler and Carlsen. Movsesian is a very active European leagues player, playing on teams from France, to Spain, Russia, Germany, Greece, Bosnia, as well as his homeland. His more than fine scores there are partially responsible to his recent rating increase. Sergei tied for first at the Chigorin Memorial with 6.5/9, and shared second at the Euro champs in Plovdiv. The Ukrainian prodigy is another player who is making a return to Corus after a break (skipped last year’s event). Still the holder of ‘youngest ever to achieve the GM title’, Karjakin is another Corus A player to have crossed the magical 2700 milestone this year. Looking at his ELO rating graph never ceases to amaze: from year 2000 till now there is an exponential rise of well more than 500 rating points! Unfortunately for him, he finished the year on a weak note with poor performances at the European club championships and the Spanish league, which will take a small bite from his near-peak high. Sergey’s name became known when in 2002, before he was 12 years old, and before he made his GM title, when Ponomariov appointed him as his second for the FIDE world championships match with Ivanchuk. His biggest ‘big league’ success was making it all the way to the semi-finals of the 2007 World Cup, where Shirov eliminated him. Among his most noted result for 2008 was tying for third in Aerosvit (6/11). He also took part at both the FIDE Grand Prix events, scoring +1 in one, and –1 in the other. Four and a half years after his surprising return to chess, the former FIDE vice champion, and PCA semi finalist, has once again advanced close to the top. Gata scored an incredible win at the 2007 world cup, eliminating the likes of Ponomariov, Carlsen, Svidler, among others, and defeating Shirov in the finals. This earned him a match versus Topalov (scheduled to take place two weeks after Corus) for the right to play a match against the world champion Anand later on. A spectacular achievement for someone who was there twice, but then had an unprecedented 8-year break from chess (save for one 2-game mini match in 1999). A former junior champion of the USSR, Kamsky’s ascent started soon after his move to the USA in 1989. He was a strong Grandmaster within a year, and made a name for himself by winning countless events – from his country’s national championship to co-winning Tilburg and many in between. His famous tenacity brought him envious results in match play, which propelled him to the aforementioned success in the two world championship cycles. In 2008 he had mixed results: tying for third in the Sochi Grand Prix, only 4/9 at the Tal Memorial, -1 in the Baku Grand Prix, and a solid 6.5/10 on board one of the US Bronze team at the Olympiad. The first visit to Wijk aan Zee in 2006 was when he was still ‘elite-rusty’, and surely this time around we will see the ‘rust-free’ version of Gata. Cuba’s leading player and their board one holder during the last Olympiad where he scored a solid 6/10, Leinier is another new member of the exclusive 2700+ club, having crossed it a bit earlier this year. Multiple times champion of his country, Dominguez recently won the strong and exclusive world blitz championship, with 11.5/15. He first made a name for himself when in the 2004 FIDE knockout world championships managed to advance as far as the fifth round, where Radjabov finally stopped him. His win at the 2006 powerful Barcelona tournament with an 8/9 result, marked his performance rating at a sky-reaching 2932(!). Making his debut in Corus, the Cuban GM’s results in 2008 have already signaled that his placement is fitting. He shared first place in Biel with 6.5/10, took clear first place at the Capablanca Memorial (with 6/9), and claimed second spot at the Bosnia super GM event. With such form it is safe to say that the GM from Havana is eagerly awaiting his chances to sting here in January. Year 2008 was a chess year to forget for the friendly Dutch local hero. His ELO, which at one time was over 2700 has taken a slopey slide and is at a 5-year low, and for the first time in many years the once top 10 player is now out of the top 100 list. Many times his country’s national champion, Loek’s year started with a 5/13 result in Corus A and a shared last place, which unfortunately was the sign of things to come. Mixed results in the several European league matches he took part in are partially responsible for the dent in his rating (especially the Russian teams competition where he shed 16 points). Van Wely played in two super GM events, but without success: in Aerosvit he ended up with a 4/11 score and a penultimate place on the cross table, while Dortmund was simply a total eclipse of the mind, with a winless 1/7 finish. Loeky scored 6/9 at the Baku President’s Cup open, but it was against a low average opposition, and more points went. His one moment of shine in 2008 was his clear second at the Staunton Memorial, with a very good 7.5/11 points. A good result in the 2009 edition of Corus A would be a very welcome new start for the veteran participant! This year’s Corus A will the first such experience for the Chemistry graduate student from Utrecht. For the last several years he participated in the GM B group, with varying results. After a few years of continuous rise, 2008 have been a bit of a slow year for the friendly Dutchman, as his ELO dipped 30 some points from its peak last year. Still, his results were mixed almost evenly. There were two disappointing ones: penultimate place in the Marxd Memorial in Hungary and only 4.5/11 in the German Bundesliga (where last year he gained the lion’s share of his points), Two mediocre ones: -1 in Corus B, and an even score at the NH Hotels tournament (5/10), and two very good ones: tie for second at the Dutch championship with a strong 7/11 (Daniel led the event, and only a last round loss prevented him from winning the event), and clear second place at the Siegman & co in Sweden (6.5/9). Stellwagen also scored a solid 6/9 playing third board for Holland in the Olympiad. In a recent candid interview van Wely spoke very highly of Daniel’s undisputed chess talent and understanding, saying/hinting that he would go much further if he handled adversity a bit better. A good idea for a first 2009 resolution! Chess pro-turned Economics student Jan has some good reasons to be happy: his rating took a nice climb of nearly 50 ELO points, allowing to break 2600 for the first time, and he took clear first in his national championship (an impressive 7.5/11, including a last round win against Stellwagen). His good results didn’t end there: his 7/11 points netted him unshared third place in the Staunton Memorial, and he was part of a big tie for fifth place at the GM-infested European Championships in Liverpool with a +3 finish (a big positive change in an event that last year was his worst tournament ever!). Smeets had a decent showing on Holland’s second board at the Olympiad, scoring 5.5/10. His only lukewarm events of 2008 were Corus B last year (6/13), and in the Essent Crown Group (2.5/6). Jan is a self-described aggressive (and tricky!) player, whose calm attitude at the board had paid off for him many times. He is also making his first appearance in Corus A after competing several times in the other two GM groups. In the last two years he started strongly with 3.5/4 and 3/4 respectively, can he maintain a longer stamina this time around? Top seed in the ultra-strong GM B group is India’s second highest ranked player. Now only 4 points shy of his peak of 2700, Sasikiran is expected to climb comfortably over his peak when all is registered and calculated. A Grandmaster since 2000, Krishnan is a former Asian champion, who climbed through the ranks by placing high in strong events all over the world around the start of the Millennium. Recently the Grandmaster from Chennai played on board one for his country – substituting for his city-mate world champion Anand – and scoring a very respectable 6/10. ‘Sasi’ is a very solid player, and is well prepared in the openings. He learned how to play chess at the relatively late age of 9, and was initially coached by his dad. His quick progress brought him wins at the under age 18 championships of both India and the British Commonwealth. In 2002 he beat Anand at the World cup, in a strong showing. His most noted results this year were first place at the top group of the Mazovian tournament in Poland with 6.5/9, a tie for first at the strong Kolkata open with 8.5/10. Krishnan is making his first appearance in Wijk aan Zee, and is surely one of the favorites to win his group. Zahar is a former world under 14 champion and is another debutant in Corus 2009. His sharp style of play often leads to exciting, tactical crowd-pleasing battles, especially from the white side of some Sicilians such as the Najdorf and the Dragon. Efimenko got his GM title in 2002; he is also a former champion of his homeland in 2006, and a winner of several strong events in the early 2000’s such as the Hastings challengers and Gibraltar. Right now the Grandmaster from Kramatorsk is at the zenith of his rating, sporting a high of 2680 – a nice (temporary!) culmination to a 5-year climb that netted him 550 ELO points! In 2008 Zahar was very active in the European leagues, playing in Russia (a disappointing 3.5/10), Serbia (a solid 6.5/10), the Ukraine (a strong 6.5/8), and a plus 2 in the German Bundesliga. He tied for second at the strong-fielded Moscow open with 7/9, shared third at the Gib Telecom with 7.5/10, and finished highly at the European championships in Plovdiv with 7.5/11. Later in the year, Efimenko held the fourth board for his country at the Olympiad, scoring 6/9 with a 2726 performance. Can he step up his form and win a ticket to the A group for 2010? The closing years of the previous decade were also the blooming years for the talented Grandmaster from Tashkent: He almost won the world junior championship (ended second), and did win the Asian continental championship. After that he became active on the European opens circuit, leaving his mark by winning some of them – a few by a noticeable margin. He won an individual bronze medal on top board at the 2000 Olympiad, with a fantastic score of 9.5/12. Rustam’s real claims to fame came in the grueling elimination competitions: in 2002 he made it all the way to the finals of the world cup, where it took no less than Vishy Anand to stop him. In 2004 he proved really unstoppable at the Tripoli FIDE world championship, where he advanced round by round and eliminating stars such as Ivanchuk, Topalov, Grischuk, and Adams (in the finals) to win it. In 2005 at the San Luis FIDE world championship tournament he tied for 6th place, and in 2007 was eliminated at the Mexico Candidates tournament in round one. In 2008 Kasim wasn’t very active, playing in several leagues and again holding top board for his country at the Olympiad (6.5/9). He was one of the seconds of Vishy Anand in his match with Kramnik. He played twice before in Corus, in 1999 and 2002 – scoring only 5/13 and 4.5/13 respectively. The quiet Grandmaster from Yekaterinburg could be a poster boy for the Russian chess education system. A son to a chess fan and a candidate master by his own right, Alexander picked up the game as early as it comes (4.5) and was quickly recognized as some with great potential. Regular coaching from a very young age brought him up the ranks: he was a strong master at his early teens, and then won his country’s present and future star studded junior championships under age 16 and 18. Motylev’s biggest eye-catching result was his qualification to, and his eventual shared first place (and win on tie-breaks) at the always-strong Russian championship of 2001 – a tournament he later qualified to several times and having mixed results, scoring 6.5/11 in the last one. His successes in the mid-2000’s propelled his rating to a high of 2680, a record he is not far from today. In 2008 he shared second place in the Aeroflot open, tied for third at the Moscow A group, and played in several leagues. He is no stranger in Corus, where in 2006 a fantastic score of 9/13 tied him for first place with Carlsen, sending both players to the Grandmaster A group in 2007, where he scored an unexciting 5/13. Spain’s second highest rated player (and top native born), Paco is his country’s current champion – an event he also won in 2006. He is a former world youth champion under age 18 (won in 2000). His first performance under the limelight was his participation at the 2002 edition of the Linares tournament, where he scored a very respectable 5/12 points – a score he repeated the following two years as well. Vallejo qualified to the 2004 FIDE world championships, but was knocked out in round one, but later that year had a strong showing on second board for his country at the Olympiad. At the 2005 world cup in Russia, Paco finished around the middle with 7/14, and in the elimination version of the same event at the same venue, he made it to the second round, where he got knocked out. He is an active league and open tournaments player, with varying results, and although he may be 20 points off his all time high, he is expected to cross the 2700 milestone number after all recent events are calculated. His main success in 2008 has to be his outstanding 9/11 result on second board for his country, at the Olympiad. In addition to being a top class player, Valleo has been dabbling as a second to Veselin Topalov. This is his first playing visit to Wijk aan Zee. 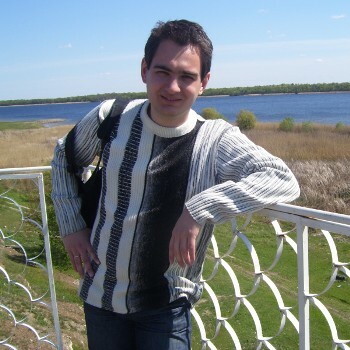 Andrei is another one of the new faces to play in Corus 2009, and is one of the youngest to achieve the Grandmaster title – he got it at age 15, in 2001. He is a two-time winner of his country’s championship (2001, 2004), and a former world under age 12 champion in 1998. Volokitin took part in the FIDE world championship knockouts in 2001, but was ousted in the first round, he made it one round further at the world cup in 2007. He has been a regular in the European league circuit, and played in a long list of open tournaments, with moderate success. Andrei has been a regular member of his country’s Olympic team, last scoring an undefeated 4.5/7 as first reserve at Dresden. In 2008, the Grandmaster from Lviv finished with 50% in Aerosvit, a disappointing 3.5/9 at the Karpov International, and a very lukewarm 6/11 at the European championships. He was most active in the several leagues he participates in, playing most of the games. Volokitin has yet to prove himself against top competition, and save for a few solid results (winning Biel 2005, for example) has had several sub par performances at the high end competitions, could Corus B be his time to shine? Nigel is one of the more seasoned participants in the GM B group, a former wunderkind whose illustrious career spans over three decades. Among his many achievements are being a candidate for the world championship several times, including runner up to Kasparov in 1993. He won countless open and closed tournaments since the early 1980’s, including twice in Corus (where he played many times) in 1986 and 1987. Grandmaster since age 19, the youngest to get the title at the time, Short is a multi time British and English champion, and British Commonwealth champion. He is an author and a columnist, and has worked as a coach to several of the most contemporary talents around, including Harikrishna, Negi and Karjakin. In appreciation of his many accomplishments, he was appointed a Member of the British Empire in 1999. Currently Nigel is at an all time low rating wise, 70 ELO points down from his 2712 peak several years ago, but continuously keep showing he hasn’t lost the ability to sting. Last year in Corus he tied for second with a very good 8.5/13, and more points will be coming: a tie for second at the European championships (7.5/10), his clear first place finish at the Commonwealth championship (a dominating 9.5/11) and a fantastic 7/10 in the Olympiad. Other notable results were a clear first at the King’s veterans tournament in Romania (7/10), a shared first in Baku (7/9). US born Fabiano (who also holds an Italian citizenship) left America for Europe in search of a more saturated chess scene. Initially moving to Spain for training, his family then moved to Hungary and is based there. At age 13 he changed his chess affiliation to Italy, where he is now the highest ranked player. A recognized talent the youngster caught fire and in no time fulfilled the required norms for the IM title. By age 14 he was already a Grandmaster – one of the world’s youngest ever, and the youngest either the US or Italy have ever produced. Caruana is a two-time Pan American champion – in 2002 (boys under 10), and 2003 (boys under 12), and the current Italian champion (a tournament he also won last year, and tied for first in a year earlier). He is now at his rating peak, with even more points to arrive from events yet to register. Fab’s rating chart looks like the route of a ballistic missile: he rose over 600 ELO points in a span of 6 years or so! The home schooled academically Fabiano is making his second trip to Corus, after a Carlsen-like routing victory in the GM C group last year (10.5/13), which earned him a place in GM group B – a place he could have also earned thanks to his rating. Will he pull another ‘Carlsen’ to advance to the top group in 2010? David started playing chess at age 6, and was practically self-taught from a book he got from his grandma, since no one in his family really played. In no time he shows his gift for the game, when he won several national titles for boys, starting at age 8. He represented his country multiple times in world events, such as the world youth and the European youth, often finishing in the top five places. 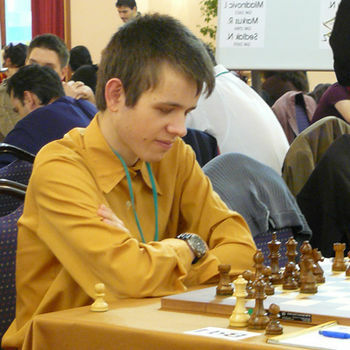 Navara was already an IM at age 14, and three years later already obtained his Grandmaster title. He played many times in his country’s national championship, winning it several times, and is a regular member and first board for his Olympic team. The Grandmaster from Parague is making his third trip to Wijk aan Zee after a one-year break. He scored solidly in the GM B group in 2006 with 7.5/13, but his crossing over the 2700 mark got him invited to the top tournament where he ended with a respectable even score. He is down nearly 100 points from his all time high, and is a bit in a slump. His latest results in the several leagues he plays at were sub par, and he had a rather forgettable experience at the two world cup events he took part in: 5.5/13 in Baku, and only 4/13 in Sochi. Perhaps the sympathetic Navara could spring back to form in January! Erwin’s ‘connection to chess’ started at age 5, with the encouragement of his father. He took to the game pretty quickly, and became a part of a talented group of youngsters who took part at national, and later world events. His first significant breakthrough was in 2004 when he achieved the IM title, following it quickly in 2005 when he fulfilled the requirements for Grandmaster. L’Ami’s rating rise was very impressive, climbing from the 2200’s to cross the 2600 mark in just a few years. The Dutchman is a very active player, averaging 30 rated ELO games per rating period. He mostly plays in Western European open and closed events, and in several leagues as well. In 2008 some of his noted results were a solid performance on board four for his national team at the Olympiad, scoring 6/9, and a tie for second place with a fantastic 8/11 finish at the European championships in Plovdiv. Erwin also scored a very respectable 7/11 in the next such event in Liverpool, and aside from a few mediocre results his only poor showing was 2.5/8 at the Bundesliga. At the M-Tel tournament earlier this year, L’Ami had his first experience as a second (to Bulgarian GM Cheparinov), a experience that was demanding and tiring, but also enriching and ‘inspiring’ for him. A regular at Corus, Erwi scored –1 in last year’s Corus B. When he was 5 years old Jan witnessed his dad engaging in a casual game of chess, and got hooked. He became an active youth player, playing in competitions domestically, and then internationally – collecting a bronze medal in the European youth championships for the boys under 16 in 2000, and a silver for the under 18 section in 2001, the same year he reached the IM title. Werle has described himself as a positional player who can handle tactical melees. Recognizing that he had opening issues, Jan associated himself with some of the top local Dutch players – a collaboration that proved fruitful. In 2008 Jan who scored 3.5/5 as first reserve in the Olympiad, made headlines by winning clear first place in the super-strong European individual championship, scoring a very convincing 8/10. Not bad considering his decision to play was a last-minute one! When this event and others get calculated, the Grandmaster from Groningen will have the pleasure of seeing his ELO climb over 2600, to a new all time high. Three years ago the Dutchman scored a fantastic 9/13 in the GM C group, promoting him to the B group for 2007, where he scored a disappointing 4.5/13. Now in much better form he will surely make this coming visit to Wijk aan Zee a much more memorable one. The youngest participant in Group B (all GM groups for that matter!) is now a household name in the chess circles. Despite her young age, Yifan already has an impressive resume of achievements and record-breakings. She is one of the world’s youngest to ever achieve the GM title at 14.5 years (she got it this year, not much after she got her IM title), and the youngest finalist to the women’s world championship (she is the sub-champion, having lost to Kosteniuk in the finals). Prior to that she was the first Chinese women’s champion to do it at age 13. What started at age 3 as a kid’s visual fascination for glass chess pieces she saw at a local library quickly became a lot more than that. As soon as she started playing the game, no one in her family was a challenge, and recognizing her amazing talent she was soon under the care of strong professionals. After winning the world youth girls under 10 section in 2003, she decided to play in the boys/open section of that event from the next year on, winning the bronze on her first try in 2004. Soon invitations started coming, and the young Chinese girl started playing extensively in women’s events, strong opens, and GM invitationals, increasing her results from event to event. Her first time in Corus in 2007 was a good one, finishing in fifth place in the C group and collecting her WGM title afterwards. Last year in group B she scored –1. Hou’s rating skyrocketed over 400 points in about 3-4 years, and she is closing in on 2600. Maybe Corus 2009 would put her over? The Godfather of Brazil’s chess and its first grandmaster is the elder statesman of the GM B group in 2009. Henrique was a chess wunderkind with unusual talent, who in his teens was already taking part and holding his own in strong competitions such as the Interzonals. He got his Grandmaster title at age 19, and two years later made his first big mark when he won the very strong Petropolis Interzonal with an undefeated score of 12/17 – beating Smyslov and Reshevsky among others. It took none other than Viktor Kortchnoi to eliminate him in the quarterfinals of the Candidates 7.5-5.5. In the next cycle Mecking repeated his achievement, taking first place in the Manila Interzonal scoring 13/19, and losing only one game (to Spassky). He lost his Candidates match with Polugaevsky by the narrowest of margins, 6.5-5.5 (one win and 11 draws). He reached his rating peak in 1977 with 2635 (when a 2600 ELO was like today’s 2700++! ), and was ranked third in the world, behind only Karpov and Kortchnoi. His illustrious career came to a halt due to health issues, and he retired from chess for many years. In the early 90’s Henrique made a comeback, and although he was past his prime, he proved to still be a formidable opponent. He isn’t very active nowadays, and his latest event was the King’s veterans’ tournament in Romania where he scored 50%. This will be his third visit to Wijk aan Zee, having played in 1971 and 1978, finishing in sixth and seventh place, respectively. A look at Dimitri’s ELO rating chart might make one raise one’s eyebrows: a relatively consistent rise for a long while, then a significant decline till mid-decade, and then a nice escalation. Perhaps the reason (or one of them) for that is that for many years the Dutch Grandmaster was gainfully employed in a ‘non-chessic job, and only relatively recently returned to full time play and coaching. He served as a coach for the Dutch youth team in world events, such as the world youth championships, and recently captained the South African women’s team for the Dresden Olympiad. 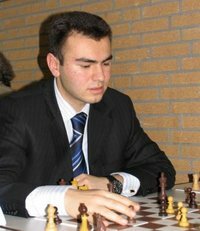 In 2008 Reinderman played in several European leagues with decent results, and his best event was the Dutch closed championship where he scored a very good 7/11, to share second place. He had two disappointing results: in Groningen where he had 5/9 against a low average of opposition, and the Limburg open. Dimitri returns to Corus after his strong showing in the C group last year, tying for second place (and top Dutchman – his ticket into GM B) with 8/13. He is possibly the most colorful (literally) player in the GM B group: his hairdos have range from mainstream colors to blonde, orange, green, blue, if I haven’t missed more! Can this vegetarian ‘go for the flesh’ in January 2009? Meet Altanoch Genden, Chief Arbiter of the 1st World Mind Sports Games. He is indeed very qualified for this job being both a FIDE International Arbiter and a FIDE International Organiser (besides being very hardworking, responsible, and diplomatic!). And he is not a bad player at all as he is also a FIDE Master who has represented his country in 4 Olympiads starting with Moscow 1994 and ending in Calvia Spain 2004. FM, IA, IO Genden was born 21 October 1961 in Khovd in Western Mongolia, the eldest of 8 children born to his doctor parents. He too is also Dr Genden but only because he has a Ph D. in Economics! Like so many Genden learned the moves early from his father, an avid chessplayer, but only became really interested when 16. But this late start has resulted in a love affair has now continued for over 30 years. Genden is fluent in German, having spend 10 years there, beginning as a student from 1979-1985 where he completed the equivalent of a Masters degree in Software Engineering. Returning to Mongolia he found he had to organise events to play in them and threw himself into this work with passion, even writing his own swiss pairing software until he found there were programs in the market he could use. And he has done well as a trainer too, with many of his students now the top players in Mongolia (including GM Sharavroj and IM Ganbold). Married with 2 children, he is today a consultant-researcher in the fields of ICT and Management Science and Economics after quitting the rat race in 2005 where he had held many senior positions in R&D firms including a long stint in Datacom. Genden first got international recognition as an organiser with the World Universities Championships held in Ulan Bator, Mongolia where he was the Chief Arbiter and since then he has been involved in many high profile events. These include the Singapore Open 2005, the Asian Games 2007 in Doha, Qatar, MAIGOC 2007 in Macau, China, and the World Chess Championship 2007 in Mexico. But surprisingly the German speaking and extremely experienced International Arbiter will not be going to the Dresden Olympiad as his application to be a Match Arbiter was somehow not accepted! 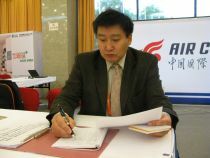 Since 1989 he has served on the Board of the Mongolian Chess Federation and since 1990 been their FIDE Delegate. From 2002-2006 he was also a member of the FIDE Executive Board. My name is David Navara, I am 23 years old and my current rating (2672) is the lowest among the participants. I am not used to such a role, but if I am in a good form, I can finish somewhere in the middle or even slightly better. On the other hand, being in a poor form I can easily finish last. I did not participate in many such difficult tournaments, but I usually play better against stronger opposition, avoiding excessive risk. I started to play chess at the age of 6. It turned out gradually that I was very talented. But I had a good support as well. Grandmaster Ludek Pachman trained me in a short period around 1995, but my most important trainers were IM Josef Pribyl and especially GM Vlastimil Jansa. I managed to finish third at a World Junior Championship in B12 category in Cannes (FRA), 1997 an second in B14 category in Oropesa del Mar (ESP), 1998. At the age of 15 I succeeded in the European U20 championship in Avilés (ESP) and World U18 championship in Oropesa del Mar, but did not get a medal. My real breakthrough was Leon 2001, where I scored 7/9 on the 2nd board. Since then I reached several comparable results, including 6/6 in the British League 2005/2006, 8.5/12 at the Chess Olympiad 2006 (Torino, ITA), 6/9 at the European Team Championship at Crete (2007) or the shared 1st place at the rapid tournament in Mainz, 2007. My worst recent result is 4.5/13 in the German Bundesliga 2006/2007, but I achieved several other bad results recently. I probably played my best chess from August 2005 to July 2006, but then my results deteriorated again. Therefore now I am the weakest participant of the Grand Prix Tournament in Baku. I live in Prague. I am a student, even though not a very good one. I study logic, but I am more interested in sociology. My father is an university teacher and scientist (mathematician), my mother is a dentist. I have one younger brother and no sister. I am trying not to ignore the outside world, but I do not have any major hobby except for chess and sociology. Except for Czech, I can speak English and Russian more or less fluently. My knowledge of German is not very good. WIM Zehra Topel won the 2007 Turkey Women Championship after already being three-times Turkish U18 champion. This talented and perspective player was born on April 1987 in Shumen, Bulgaria and at the age of 8 she started visiting local chess club in Shumen after her mother taught her how to move pieces. The family moved to Istanbul, Turkey on 1997 and on 2000 they were granted Turkish citizenship. Currently, Zehra is studying 2nd year of English Philology at the Istanbul University and she is member of the Istanbul Technical University chess club. Thanks to our friend Frederic Sellier of the Pokemon Chess Blog for sending the profile. Read the entire article (in French and English) on his weblog. GM Yuri Solodovnichenko was born in Kherson, Ukraine on 8th of February, 1978. He started to play chess when he was five years old, and in 2000 became an International Master. From that time Yuri has won many open tournaments in different countries of Europe. Finally recognized as Grandmaster in January 2007, when his rating was close to 2600 already. Now his ELO is 2580. Best tournaments results: 1st place in Rochefort, France, 2003 and 2005; shared 1st place in Hamburg, Germany, 2005; 3rd place in Voronezh, Russia, 2006; 1st place in Chambery, France, 2006; shared 1st place in Rodatychi, Ukraine, 2006. Member of chess clubs SF Gerresheim (Germany), Echiquier Niortais (France) and Escacs Figueres (Spain). His next tournament will be round-robin in Banja Luka, Republika Srpska, on July 22-30. The organizers are “Krajiski Chess Club” and City of Banja Luka. Those interested in chess history will remember that the same team brought then unrated Garry Kasparov to his first GM tournament on 1978, which he convincingly won with 11.5/15, ahead of Andersson, Petrosian, Smeykal and other strong players. The 8th Banja Luka International tournament will feature: GM Viktor Korchnoi (SUI) 2609, GM Mihajlo Stojanović (SRB) 2601, GM Yuri Solodovnichenko (UKR) 2577, GM Robert Ruck (HUN) 2564, GM Ulf Andersson (SWE) 2524, GM Zlatko Ilinčić (SRB) 2509, GM Milan Vukić (BIH) 2481, IM Vlado Jakovljević 2440 (BIH) and IM Aleksandar Savanović 2432 (BIH). 10th player will be known after the qualifying tournament. Valdimir Malakhov (Russia) is born on November 27, 1980. He has been in the world chess elite for the last 5-8 years, and is number 30 in the FIDE rating list (July 2007). Among his best results are the second place in the Istanbull 2003 European Championship and the participation in the Candidate Matches in Elista 2007. In 2006 Malakhov won the prestigious Salona 2006 in front of Dreev, Movsesian, V. Georgiev, A. Stefanova, etc. Vladimir Malakhov is top seeded for the Politiken Cup 2007 that starts July 21. The magnificent winning streak lifted him up to fourth place on the January 2007 FIDE rating list. Shakhriyar Mamedyarov comes from a sports family. His sisters are WGM and WIM respectively, and his father is a former weight lifting champion. Born on April 12, 1985, Mamedyarov first attracted public attention after winning the 2002 European U18 championship with a fantastic score 10/11. A year later he took his first World U20 championship. 2006 was the year of Shakhriyar Mamedyarov. He didn’t start too well, finishing in the mid table at Corus-A, where he replaced Kramnik on a short notice. But then he won Moscow Aeroflot, Reykjavik Open, Baku Open, the exceptionally strong rapid Villa Cañada de Calatrava and the Mainz Open which qualified him for the main knockout tournament this year. In the closed high rated events, Mamedyarov finished fourth in the 18th category Foros Aerosvit and won the 20th category Hoogeven Essent ahead of Topalov and Polgar. The magnificent season saw him reaching fourth place on the January 2007 FIDE rating list. After short period of inactivity, he is now rated 7th in the World. Hungry for success, Shakhriyar is one of the main contenders for winning the third Mtel Masters. Liviu-Dieter Nisipeanu is the best Romanian player of all times, eclipsing the glory of Gheorgiu and Suba. In his early 20′s we knew him only from his crazy games published in “Chess Informant”. Later on he surprised the world by breaking into the semi-finals of the first FIDE knockout World Championship in Las Vegas 1999. He eliminated Azmaiparashvili, Leitao, Ivanchuk and Shirov in the process, losing only in tiebreaks against the future champion Khalifman. Liviu-Dieter was born on August 1st 1976. If you wonder about his name, take note that he lived in Germany for a long time before moving to Bucharest. In the late 90′s, he won a number of local tournaments: the Romanian Championsip, in Balatonbereny and in Budapest on 1996, the Radulescu Memorial 1999, the Ciocaltea Memorial 1997 and 2001. During 2004 he tied 2nd with Sasikiran in a very strong Dubai Open (Mamedyarov was 1st). After that he won the 16th category Pune Super GM. His biggest achievement so far came in 2005 when he won the European Championship in Warsaw. In an interview, he said he felt relief more than happiness because he put huge effort into study. His success made him a national hero and boosted chess in Romania. Wherever Nisipeanu is playing, the audience is following his wild games with particular interest. In April 6th-9th 2006 Nisipeanu faced Veselin Topalov in 4-games friendly match in Bucharest named “The match of the champions”. Topalov won 3-1 and the games were broadcasted live on Realitatea TV with commentary provided by GMs Mihail Marin and Dorian Rogozenco. The match Topalov- Nisipeanu was for the promotion of Bulgaria and Romania and their future entry in the European Union. Liviu-Dieter has also won the strong 7th Sants Intl Open in Barcelona and the Bosna Championship 2006 in Sarajevo. Mtel Masters will be his first super-tournament and he is certainly looking for a good result to secure entry into the exclusive 2700+ club.